This performance structure is embedded with meaning. 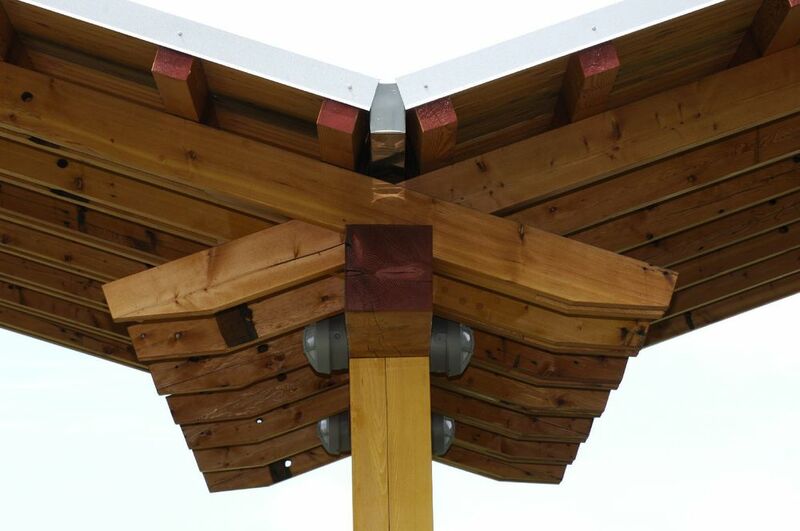 It was a gift to the city of Bellingham from Cascade Joinery and The Friends of Mark Witter. 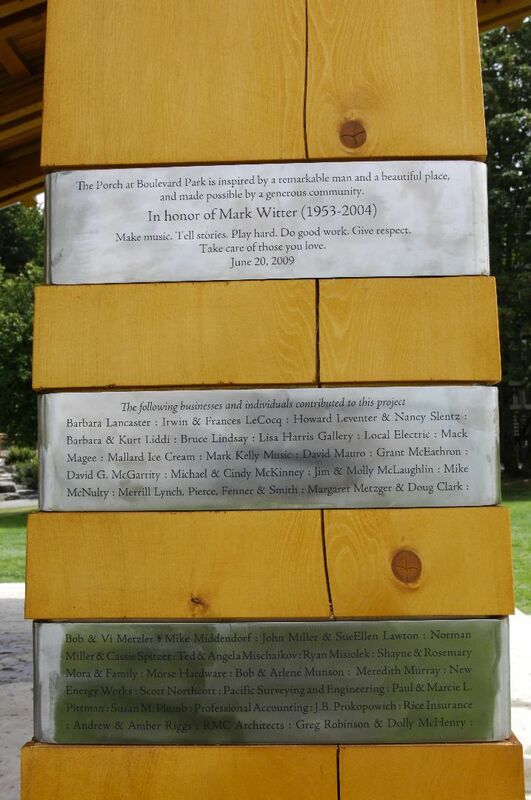 The pavilion was built in memory of Mark's life, which was devoted to music, craft, and community. 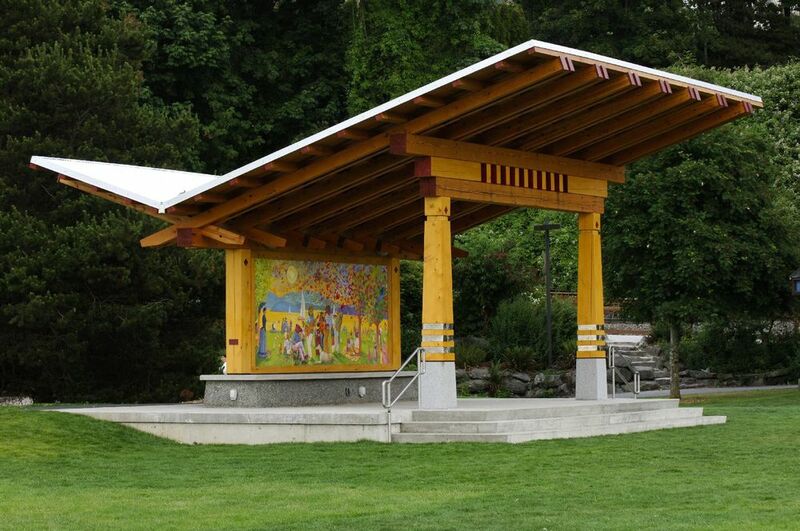 Located on the Bellingham waterfront in beloved Boulevard Park, the structure serves as a performance stage for the Bellingham summer concert series. 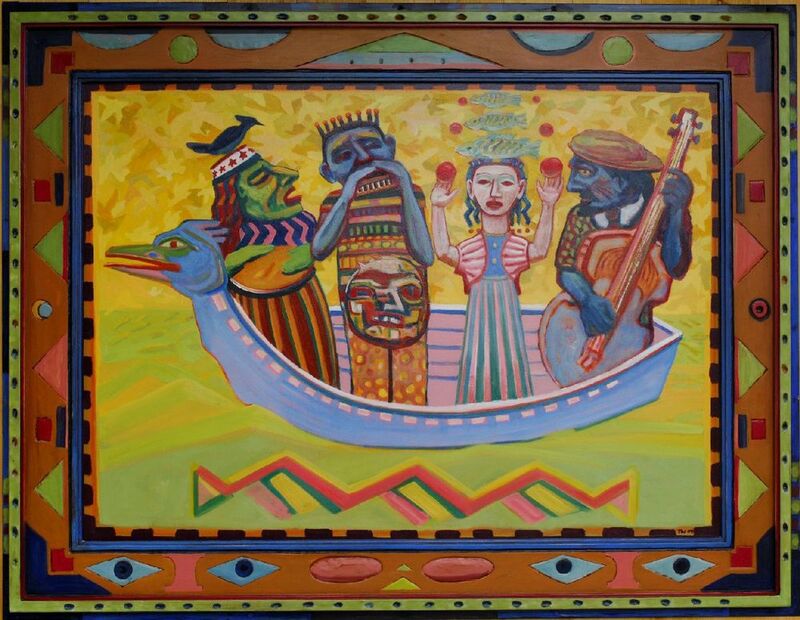 Local artist Thomas Wood provided the lively original artwork. This pavilion is a result of a highly successful collaboration involving many people.